Antonio Santi Giuseppe Meucci was born in San Frediano, near the city of Firenze, on 13 April 1808 is the original inventor of the telephone and not alexander graham bell, and it seems like it needs to be re-written history. Meucci is a graduate of Florence Academy of Art, then worked at the Teatro della Pergola until 1835, and then was offered a job at the Teatro Tacon in Havana, Cuba, and migrated there with his wife. Antonio Meucci in his spare time likes to investigate things and create new things without despair. Meucci telahmengembangkan using electric stun to cure disease and became popular because of it. In 1850, he moved to Staten Island, New York. At that Meucci impoverished, yet they continue to refine the tool so it has created the phone. Because he was ill and a tough economy, she was forced to sell some of the tools he created for only six dollars for medical expenses. After recovering, Meucci worked hard day and night to re-create creation tools. In 1871, due to not enough money to pay the telephone patent, he only paid a provisional patent in force for one year and must be renewed the following year. Meucci tried to demonstrate the potential of "speaking telegraph" as well as bringing the model and any statement on the Vice Chairman of Western Union Telegraph Company, Edward B.Grant. But then, every time Meucci was about him, vice chairman has always said that he did not have time. Two years later, while Meucci to reclaim all of the material from the phone company, it turns out they just said it had "lost". Then suddenly, in 1876, bears the name of Alexander Graham Bell as the inventor of the telephone. Knowing this, Meucci immediately called a lawyer to protest at the U.S. Patent Office in Washington. However Meucci defeat to the case. Rear, decay is revealed, following a feud between Alexander Graham Bell with Western Union. Secret revealed that Bell had previously approved pay twenty percent commercial advantage over the "discovery" for 17 years to the Western Union. More than a century and throughout the world, Alexander Graham Bell is known as the inventor of the telephone. But on June 11, 2002 in the United States Congress, Antonio Meucci as the inventor of the telephone set. 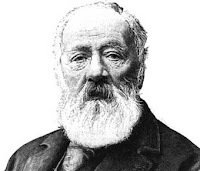 Unfortunately, Antonio Meucci could not participate happy by the decision, because he had died over a century ago, on October 18, 1889 at the age of 81 years. Although the U.S. Congress in June 2002 determined that Antonio Meucci was the one who invented the telephone. Since Alexander Graham Bell made the first telephone in Boston, Massachusetts, in 1876. While the Italian inventor, Antonio Meucci, had invented the telephone in 1849, and in September 2001, Meucci was officially accepted as the creator of the telephone by the U.S. Congress, and not Alexander Graham Bell. The real inventor of the telephone is now revealed. A new book claims to have evidence of crimes committed by Alexander Graham Bell. In the book, Bell stated is not the first inventor of the telephone. He was even accused of stealing ideas from competitors telephone, Elisha Gray. In the book titled "The Telephone Gambit: Chasing Alexander Graham Bell's Secret" is the author, Seth Sulman, said that Bell had cheated on the idea of ​​a patent document that belongs to Gray. Shulman believes that the document belongs to Bell labs have been digitized and made in 1999, after the Bell family was held in 1976. This document describes the beginning of the one Bell encountered as he and assistant Thomas Watson tried transmitting sound electromagnetically over a wire. Had been a pause for 12 days free trial. When Bell went to Washington to ask for a patent for his work. After that, he reportedly began trying another kind of voice transmitter declared successful. As Bell described that new approach, he sketched a diagram of the device. Gray's patent documents, which describe a similar technique and display similar diagram. The book is also a bit to answer suspicions scientists. For example, Bell's transmitter design appears hastily written in the margin of the patent. Even Bell said was nervous about demonstrating his device with Gray present. Bell resisted testifying in court in 1878 to prove these findings. Bell, however, quickly monopolize the phone name is taken from the name. In the book, Bell also claimed as an ambitious and experienced lawyer mengorup patent rights of others. Previously, Bell is known as the inventor of the telephone, even though the U.S. Congress in June 2002 determined that Antonio Meucci was the one who invented the telephone. Since Alexander Graham Bell made the first telephone in Boston, Massachusetts, in 1876. While the Italian inventor, Antonio Meucci, had invented the telephone in 1849, and in September 2001, Meucci was officially accepted as the creator of the telephone by the U.S. Congress, and not Alexander Graham Bell.